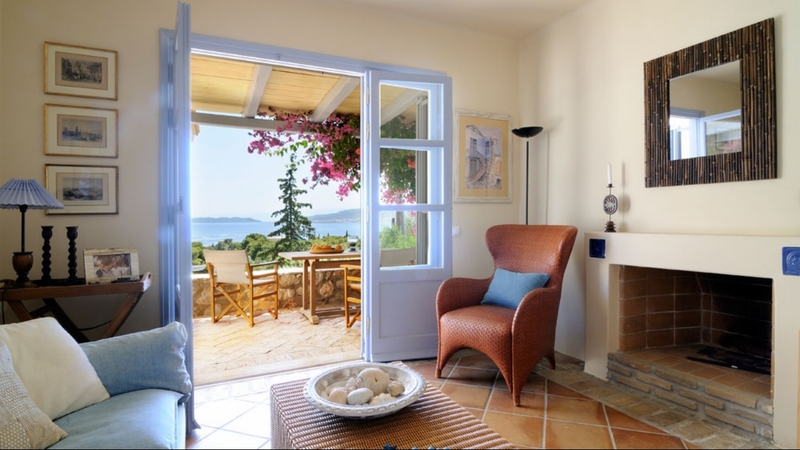 Holiday villa Spiti Emilion lies within a stone's throw of the picturesque coastal village of Porto Heli. 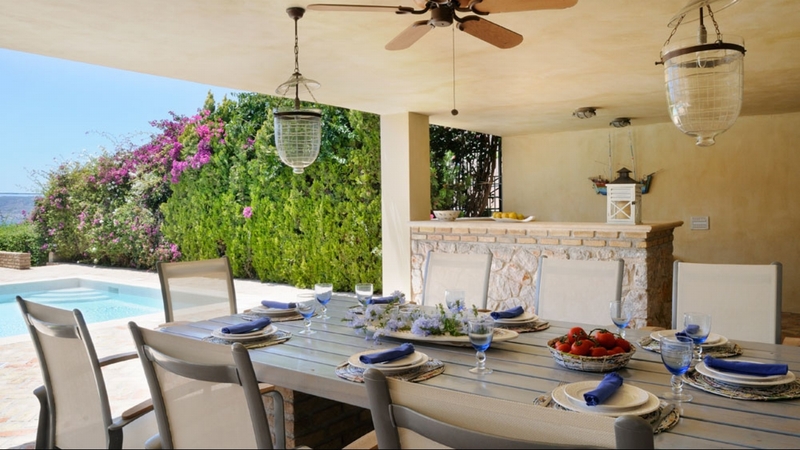 This delightful villa rental offers guests a stylish interior and superb views from its terracotta terraces. It also has a private swimming pool. 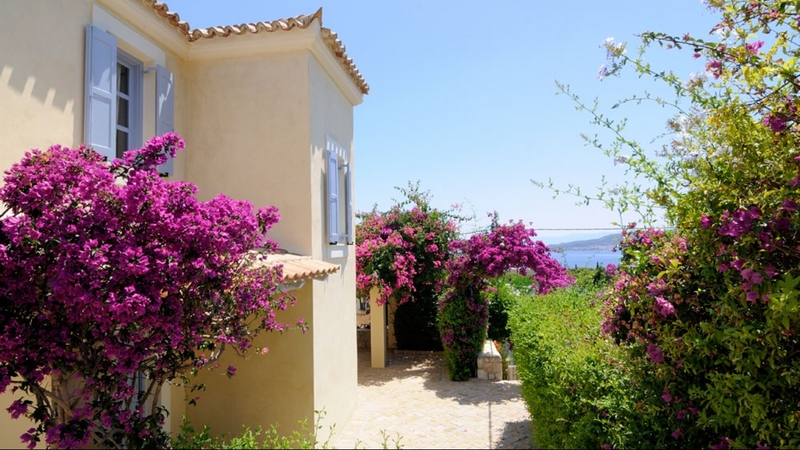 Villa Emilion is a lovely house on three levels and a large terracotta terrace surrounding the swimming pool with views across to the bay below. 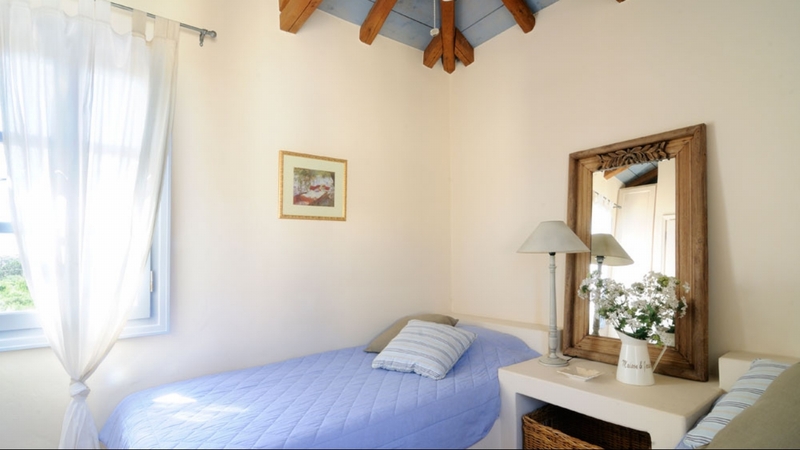 The house is comfortably furnished for easy holiday living, with a stylish blue and white theme. 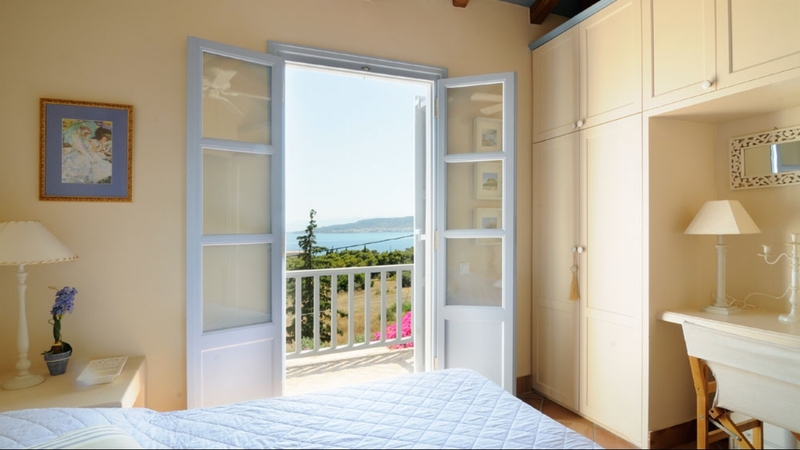 This is very much in keeping with the Greek Island tradition of pretty blue shutters and doors. 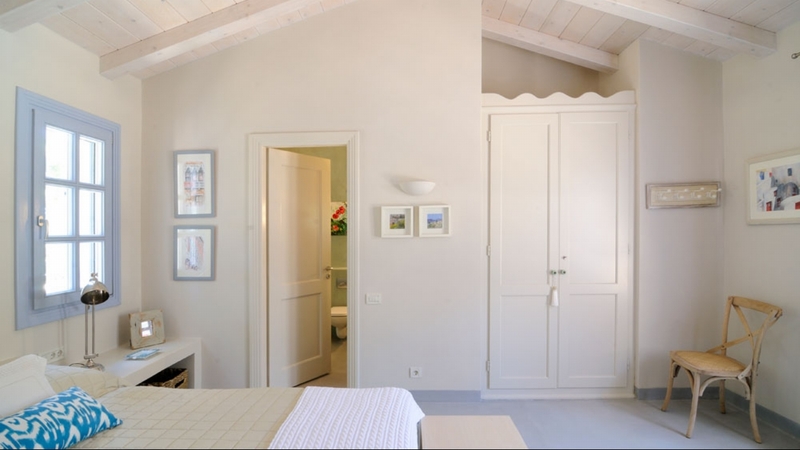 The villa is built on three levels with a middle/upper ground level entrance to the living room, the indoor dining area, the kitchen and a WC. 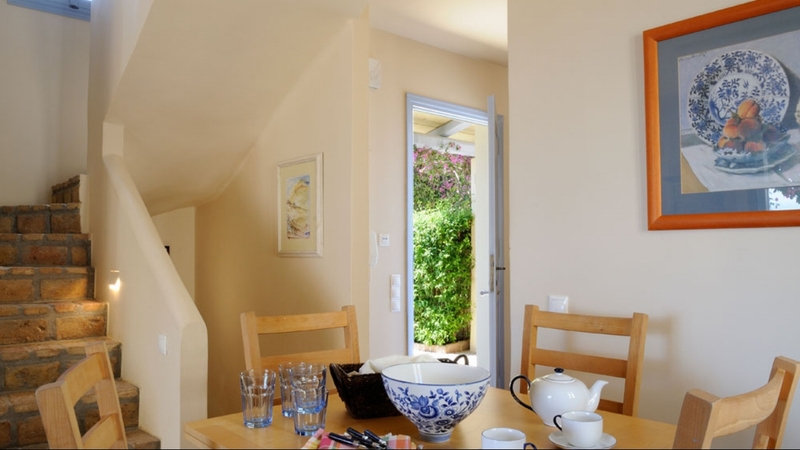 The upper level has two double bedrooms with balconies and one bathroom/WC and the lower level has one double bedroom with en-suite bathroom/WC, an open space lounge area and a laundry room. 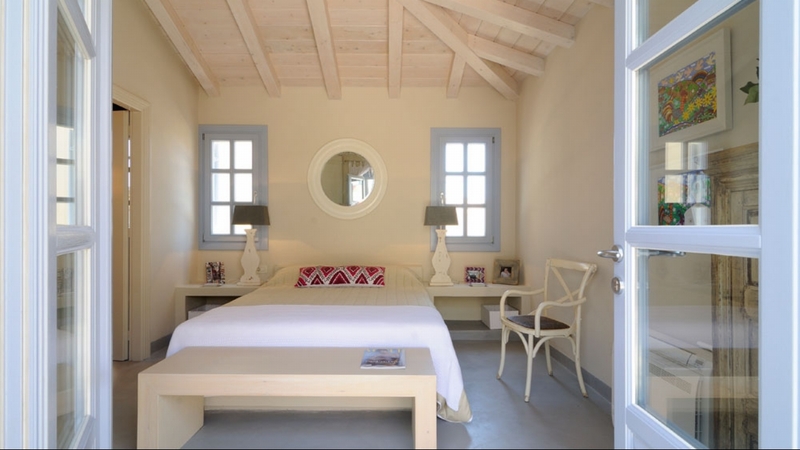 Two additional double guest suites with en-suite bedrooms lead directly onto the pool terrace. 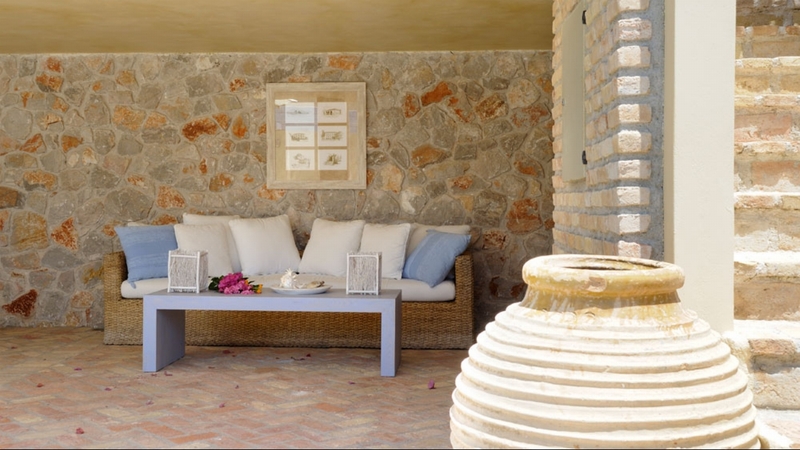 The villa benefits from the exclusive use of a private pool (10 x 5m) area, which is laid with classic Italian terracotta tiles and includes BBQ and covered pergolas, alfresco dining for 12 and outdoor bar. 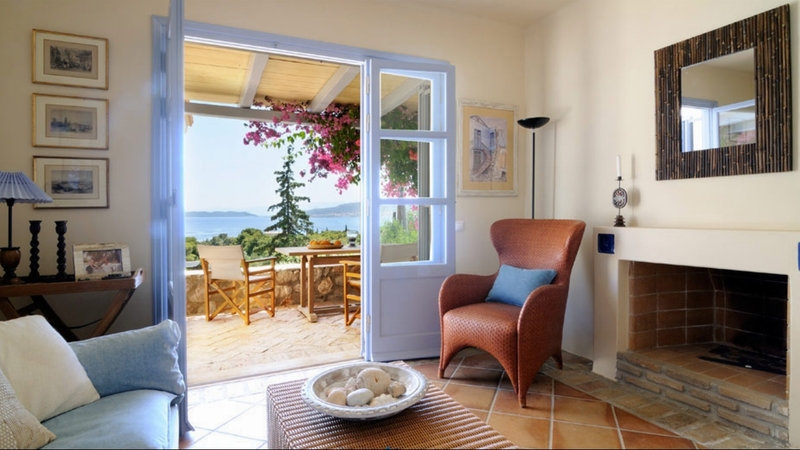 The area is generally known as the Costa Grecia and essentially expands along the Peloponnesian peninsula facing the historically famous island of Spetses and its respective coastline. 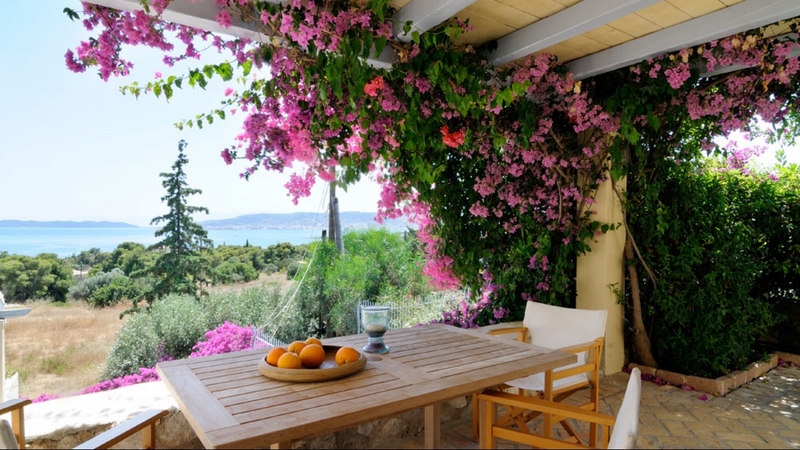 The area is a popular holiday and weekend destination for wealthy Greeks and is a paradise for fisherman and yachts alike. You are just a short distannce away from the main part of the village with its selection of mini markets, bars and restaurant. The beach is only a short stroll away from the villa. 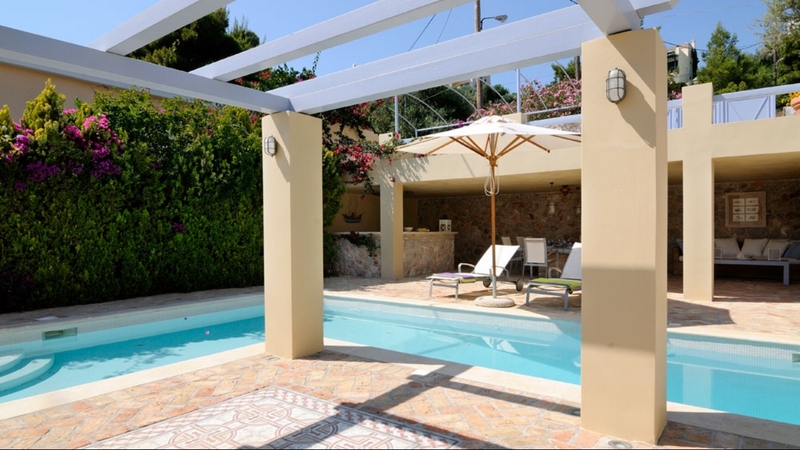 By Plane: The nearest airport for the villa is Athens.